‘Centre of a beneficent force in education’ or ‘ordinary merchant business’? The Museum of Education and Art in Rotterdam, 1880-1886. For a short period of time, the city of Rotterdam housed a rather unique museum, the Museum of Education and Art (Museum voor Onderwijs en Kunst). It existed for six years and only for less than a year in its original form. In 1880 it was unlike other educational or – as they were usually called – school museums. Other than today’s cultural history school museums, these museums were integrated in education and functioned as a means to support mass education by the state. They did so by exhibiting the whole range of school materials to enable headmasters and teachers to make informed choices. School materials were also displayed at educational exhibitions at world fairs. The Museum in Rotterdam was exceptional because it was a private, commercial enterprise, unlike other school museums which were established by schoolboards, local authorities, or by a state. In addition, it was the first and probably the only case with a purpose-built housing, where others generally used existing (school)buildings or were part of an arts and crafts museum. Are you what you read? E. du Perron’s Notebooks of a reader. This article offers a close reading of E. du Perron’s influential Notebooks of a reader (Cahiers van een lezer). It focuses on Du Perron’s self-representation as a reader and his ideas on reading. On the one hand, author’s notebooks confirm his reputation as a subjective reader. Du Perron cherishes an utterly emotional reading method, an affective bond with writers and books and a volatile literary taste. On the other hand, the Notebooks allow us to refine his subjectivism. They demonstrate the importance of reading as a communal activity and the exemplary function of Du Perron’s own reading experiences. In the heart of Java (1881). 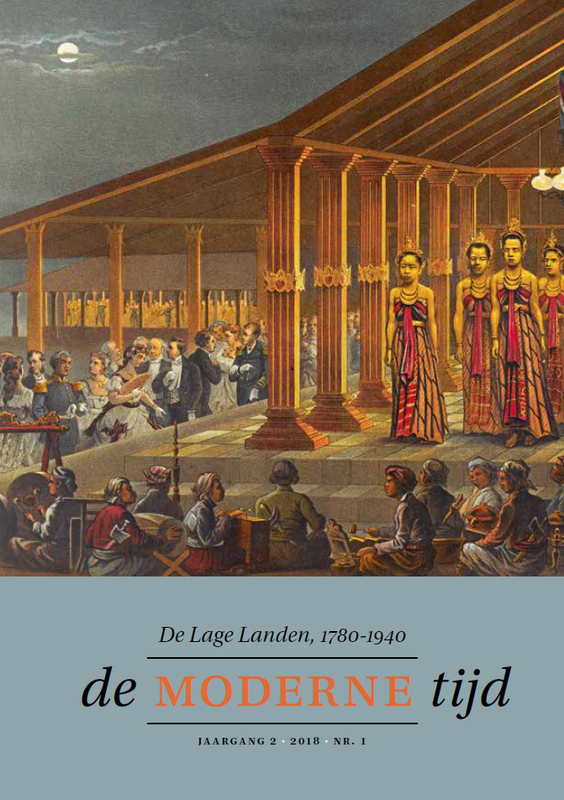 Exoticism and nationalism in the Dutch East Indies verse epics of Willem Jacobsz. Hofdijk. Towards the end of his life, the Dutch poet Willem Jacobsz. Hofdijk wrote his ambitious verse epic In the heart of Java (In ’t harte van Java), set in seventeenth-century Indonesia. Two similar works soon followed. This article examines the various literary techniques used by the author to evoke the exoticism of a world he had never experienced himself. The received idea that Hofdijk started writing his Dutch East Indies poems when his son joined the colonial army is exposed as a fallacy. It is my contention that Hofdijk’s epics, deliberately distorting historical facts, were intended to strengthen the resolve of the Dutch against the rebellious province of Aceh. Artistic versus political avant-gardism. The visual arts in and around the magazine Nieuw Rusland/Cultuur der U.d.S.S.R. (New Russia/Culture of the USSR), 1928-1934. This article concentrates on the position of the visual arts in Russia as presented in Nieuw Rusland (New Russia), organ of the Netherlands – New Russia Society. This Society was initiated by voks, the All-Union Society for Cultural Relations with Foreign Countries, established to coordinate international cultural contacts with artists and intellectuals in other countries in order to help lending the Soviet Union a positive and civilised image. The Netherlands – New Russia Society was suspected to be a communist umbrella organization, and indeed some of its members were moles. At the time, visual arts in Russia were in transition: the abstract avant-gardism of the first years after the Revolution was making way for moderately modern, figurative, and politically engaged painting. Easel painting in general had to yield to the graphic arts, photography and composite picture, especially as applied in posters, children’s books and magazines. Dutch editors of Nieuw Rusland had to communicate and explain or soften the often staunch political art theories of their Russian authors. From around 1932, Nieuw Rusland made a change of course from cultural information towards explicit political propaganda. In combination with a ban on membership of left-wing organizations for all public servants, this meant the end of the magazine.